Carl Frampton become new unified featherweight champion after getting a split decision against Scott Quigg. Frampton shaded the early rounds but had to hang in there in the last few rounds but did enough to win the split decision [116-112] [116-112] [113-115]. This is how the judges scored the fight. Levi Martinez from USA had Quigg winning 115-113 while Dave Parris from England had it 116-112 to Frampton and Carlos Sucre from USA also had it 116-112. One of the biggest fight of the year so far took place in Manchester Arena on Saturday night between Carl Frampton vs Scot Quigg and it turned out the be a very competitive fight. Frampton shaded the the early rounds where not uch was going on but fight came into life in later rounds as Quigg mounted a late charge and won majority of the last 5-4 rounds to make it a very equal fight. It came down to how the judges scored the first 6 rounds where Frampton just shaded it narrowly but Quigg pretty much looked the better fighter in the last 6 rounds. So could have gone either way but for Frampton did just enough after his first 6 rounds to hang in there and win the fight. 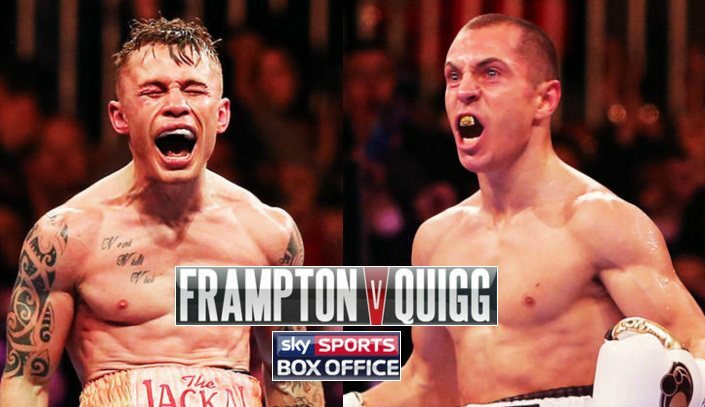 The coverage of Frampton-Quigg will start at around 06:00 p.m uk time on the Sky box-office with the preliminary and undercard fights. There are as many as 5 undercard fights on the night and that all comes in the PPV package which can be bought at Sky.com for around £16.95 / €21.95. 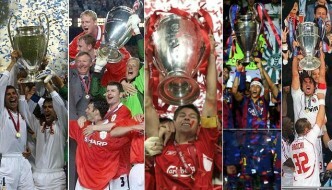 Does it worth it ? Yes, Frampton-Quigg is a massive fight with not only the title but bragging rights at stake so I would highly recommend buying the PPV from SKY to watch it in HD quality. 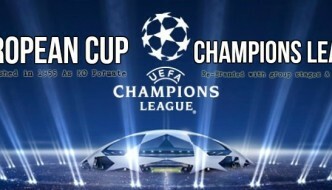 SkyBox Office coverage will start at around 18:00 uk time on the regular Sky channels but at around 07:00 pm it will go encrypted as the Sky Box Office PPV gets underway and from than on only viewers who have bought the PPV can watch it live. 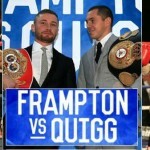 The main-event between Frampton and Quigg will not start befor 10:30 p.m uk time. It might get delayed to even 11:00 pm depending the results from earlier fights. Hosea Burton v Miles Shinkwin (british light-heavyweight title) 7:45 p.m.
Its a massive fight in the UK and pretty much a unification bout with IBF and WBA titles on the line. One of the fighters is losing his unbeaten record and huge fights await in the future for the winner while the loser will have to get his career back together again. Its all set up for a superb night of boxing from British fans with the highly anticipated Ireland vs England themed main-event.